What makes winning a British Travel Award such a prized accolade are the rigorous measures and levels of scrutiny applied to the voting process. Winners can be proud of their achievements knowing every vote counted is a true reflection of customer satisfaction and consumers know they can buy with confidence from companies entitled to display the British Travel Awards winner logo. An individual can only register once. After they submit their registration an autoresponder email is sent to their email address. This email contains the voter’s unique password, allowing them to log-in to their voting record and add to or amend their votes. Should they change their choice in a category they have already voted, their latest entry will replace their previous. Should a voter submit their registration details using an email address that is already registered they receive the pop-up message. Thank you for voting in this year’s British Travel Awards. Your email address has been previously registered. Your votes have been added to your original submission, if you have already voted for another company in one of the above categories this entry will supercede that vote. 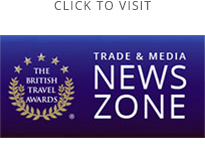 The British Travel Awards voting form will now open. Your email address and password will auto-fill on the log-in page, click open Login to vote in additional categories. Your email address has been previously registered and a unique password sent to your registered email address. Scroll to the log-in section at the bottom of this page, enter your email address and password (or recover your password) to access your voting record. When autoresponder emails are returned with the message “Email account does not exist” or similar syntax the voter record is removed from the voting database. When it is brought to our attention - prompted by the unexpected receipt of the autoresponder email - that an email address has been used without the knowledge of the account holder, that voter record is removed from the voting database. Bounced autoresponder emails with conditions other than “Email account does not exist”. Multiple entries from the same I.P. address with predictive date/time stamp patterns. Multiple entries from individual clusters of I.P. addresses over the duration of the voting cycle. Exceptional spikes in voter numbers and votes received by individual nominees within a given time frame. Fuzzy logic parameters identify data strings similar to those in other voter records and flag suspect entries for review. All query reports are subject to internal examination and submitted to Deloitte at the end of the voting cycle. They undertake agree upon procedures and recompute scoring of the awards. Their recomputation is taken as authoritative.